Tibet is an autonomous province with the People’s Republic of China and its most famous person being the Dali Lama, the leader of Tibetan Buddhism. It is the highest region in the world because it is where Mount Everest is with a peak elevation of 8,848 m (29,029 ft) above sea level. You can understand now why it is nicknamed the “Roof of the World”. The natural mountainous terrain means there are lots of peaks and troughs which can make it very harsh to live in. Living at high altitudes has it own challenges on human physiology. This is why mountaineers who like to climb and trek up big mountains like Mt. Everest need loads of energy in easy digestible and easily cookable formats. One of the traditional energy drinks in the region that the locals have relied on for centuries is putting butter, made from yaks milk, into brewed tea. Known locally as Po-cha by the people of Tibet, it is made from churning tea, salt and yak butter. A tea brick is crumbled into boiling water and boiled for hours to produce a smoky, bitter brew called chaku. Chaku is then poured into a wooden cylindrical churn, called a chandong, along with a hunk of yak butter and salt to be churned for a couple of minutes before serving. The chaku can be stored to make butter tea when required. Tea bricks from Pemagul, Tibet or pu-erh tea bricks from Yunnan are used. There are different ways to make things of course to each persons preference for flavors. Here are some recipes to consider. This a traditional po-cha recipe for two people. This will make about two cups each person. This a modified po-cha recipe for two people. This will make about two cups each person. Tibetan monks and citizens are said to be able to drink up to 60 small cups a day for helping to stay hydrated and for nutrition. It is also used a soup dish. The origins of Bulletproof Coffee are said to be because of this particular butter in tea drink that Dave Asprey had when hiking in the Tibetan mountains. You do also get a Bulletproof Tea. Lets look at this type which is a common traditional variety choice. 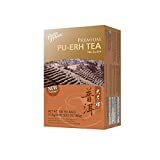 “Pu-erh” is made from “maocha” (a.k.a mao-cha). This maocha is the green tea leaves and stems of the broad-leaf varietal of Camellia sinensis plant (C. sinensis assamica). This plant is grown well in n the Yunnan province in Southern China and in India. This particular plant is used to make green, oolong, and black teas options. Other names known as are: Arbre à Thé, Camellia sinensis, Camellia thea, Camellia theifera, Sheng pu-erh, Shou pu-erh, Té Pu-erh, Tea, Thé Pu’Er, Thé Pu-Erh, Thé Puerh, Thea bohea, Thea sinensis, Thea viridis, Théier. Puerh tea is made through two main process: fermentation and then ageing. The result can be either two types of pu-erh – “raw” Shēng Chá or “ripe” Shu Chá. The raw version is made by picking the leaves then allowing them to wilt before being dry roasted on a open wok which is known as “Killing the Green”. The roasting process helps to prevent full oxidation. The roasted leaves are then rolled and rubbed to bruise the loose tea product which is then sun dried. Once ready the loose tea is then pressed into compact bricks ready to be sold. The ripe version follows the same process as the raw except the sun dried raw loose tea leaves then have yeasts (molds) and bacteria added to it. This is to allow fermentation and aging further before being compressed into a final product. Some microbes involved in fermenting include different speicies like Aspergillus, Penicllium and Rhizopus. If you are concerned about mycotoxins take some activated charcoal. It can come in a loose form or compressed into different shapes like a brick, cake or disc. Pu-erh tea is used as medicine and is popular not only in Tibet but also Southwestern China and Taiwan. It is used to help improve mental alertness, like coffee, but also for reducing high cholesterol levels, unlike coffee. The English word yak is derived from the Tibetan word yag. This actually refers to the male yak whereas the female yak is known as dri in the Tibetan language. The milk is from the domesticated yak (Bos grunniens a.k.a “grunting ox”) which is common species across central Asia. It looks similar to buffalo milk. The raw milk is said to have a higher content of solids, fat and protein than dairy cow or goat milk. Yak milk is composed of 83% water, solids content of around 18%, fat content has a seasonal range of between 6.5% – 16%. and it has a sweetish, fragrant taste. Studies have shown that compared to milk from a cow, yak milk was richer in protein (especially whey protein), essential amino acids, fat, lactose and minerals (except phosphorus). Products made from yak milk appear to be particularly rich in bioactive & functional components. The milks profile of amino acids and fatty acids, high levels of antioxidant vitamins, specific enzymes, and bacteria with probiotic activity are thought to have helped nomads and sherpas cope with the harsh high altitude climate they live in. Yak butter is comparable to commercial grassfed butters like Irish or French. The raw yak butter contains 12 – 15% water, 1% protein and the rest fat. It can be turned into ghee used for cooking or putting into tea. Yak milk fat globules are bigger than cow’s milk fat globules. Since yak milk fat content & fat globules are larger than dairy cows, it takes much less time to make butter from it compared to other types of milk. Of course Tibetan butter tea is said to taste salty and not sweet. That’s because salt is added when making it. Salt is a natural taste enhancer for for food and drink recipes. You think Tibetans only use pink Himalayan salt. The Himalayas mountain range is in tibet so they can harvest. However, white looking table salt is also farmed on the Tibetan plateau from dried lake beds. Salt is mined from caves and surface salt beds. The Qinghai-Tibet Plateau has the worlds highest altitude salt lake called Nam Co. You can see workers doing hard manual work in a salt mine in the mountains here. Yanjing (meaning salt well in Chinese) is a traditional salt mining town where farmers have fetched water from the salt wells by the Lancang River for many years. It said that the white salt produced is of the highest quality for using as a ingredient for food. Compared to the deep red salt produced which is used to boil tea or feed livestock. There are many benefits to salt and contrary to popular belief, salt is not going to instantly cause high blood pressure problems in individuals. Salt is a medical dietary necessity in order to stay alive and have a functioning physiology. Even on a low salt diet for helping kidney stones you still need some. If you are on a low-carb high fat, ketogenic or fasting type diet, which nomadic Tibetans would be, then the salt is necessary to help muscles avoid cramping. The “four pillars of life” on the Tibetan plateau is – meat, salt, tsampa, and tea. Out of the four tea is the only traditional staple that has had to be imported. The staple food for Tibetans is something called “tsampa” which is typically eaten alongside the favored beverage of po-cha. Tea doesn’t naturally grow in Tibet. So how did it become one of the preferred drinks for many local people? The answer is the Tea Horse Road. It is an ancient trade route going through Tibet, Sichuan and Yunnan. Beginning around the 6th century, Chinese people from Sichuan and Yunnan provinces would travel with packs of tea loaded on horses. The tea was then traded with people from Tibet for more horses. Hence, their route was called the Tea Horse Road. Below you can find products available on Amazon and other retailers to try recreate an authentic experience in your home, even if you don’t live near Tibet. Unfortunately it is very difficult to source the real deal in the US or Europe. In the US try contact exoticmeatmarkets.com as a supplier. Otherwise a good grassfed butter like Irish Kerrygold, New Zealand Anchor Butter or Raw French Butters are a great second choice. Along with using quality ghee like Bulletproof ghee. 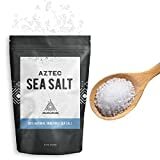 You can use pink Himalayan salt or a good sea salt like that from Aztec as an alternative which are both packed with minerals. Unless you go the traditonal route of hand churning in a wooden churn it is more likely you’l use the modern way of just blending it all together in a decent high speed blender made for hot liquids like the Blendtec. You can finish off the experience by getting your hands on an authentic Tibetan Yak Butter Tea pot.